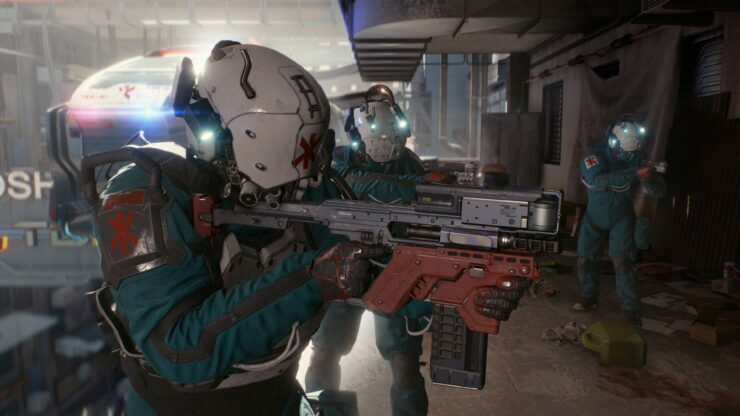 Cyberpunk 2077, the upcoming role-playing game in development for PC and consoles by CD Projekt Red, is setting out to be a true industry changer, and it seems like this is the goal the development team has in mind. On the latest issue of EDGE Magazine, as reported by Comic Book, Quest Designer Patrick Mills confirmed that CD Projekt Red wants to change the game industry. One of the things about this company has always been we want to show the game industry how to do things. We want to change the game industry. We want to say, ‘We can do things differently, we don’t have to do things that way.’ It’s in our motto: ‘We are rebels,’ right? Speaking on how Cyberpunk 2077 will help them to do so, Patrick Mills mentioned the storytelling, in particular, is going to be different from anything seen before, especially when it comes with politics, which are a big part of the Cyberpunk universe.